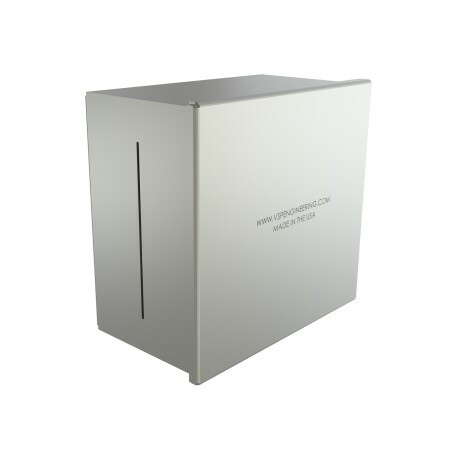 VSP-PTD-W Stainless Steel Paper Towel Holder accommodates many types of paper towel paper products and does not lock you into one particular paper vendor. 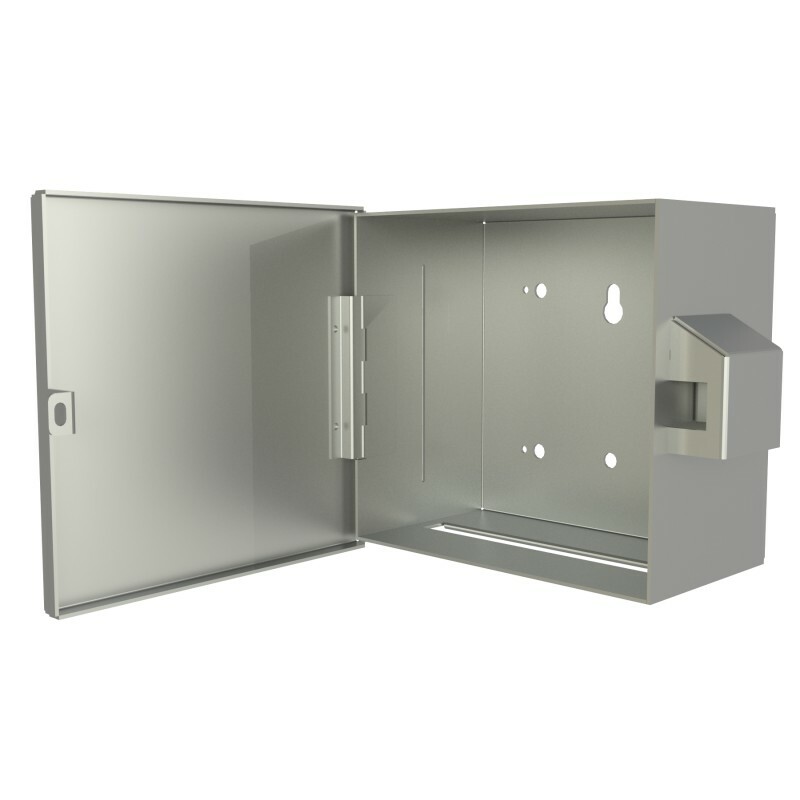 Featuring heavy duty Stainless Steel Construction and a locking enclosure, this unit will cut down on costs from corrosion, thieves and vandals. The VSP-PTD-W stainless steel paper towel holder is suitable for all public restroom facilities. 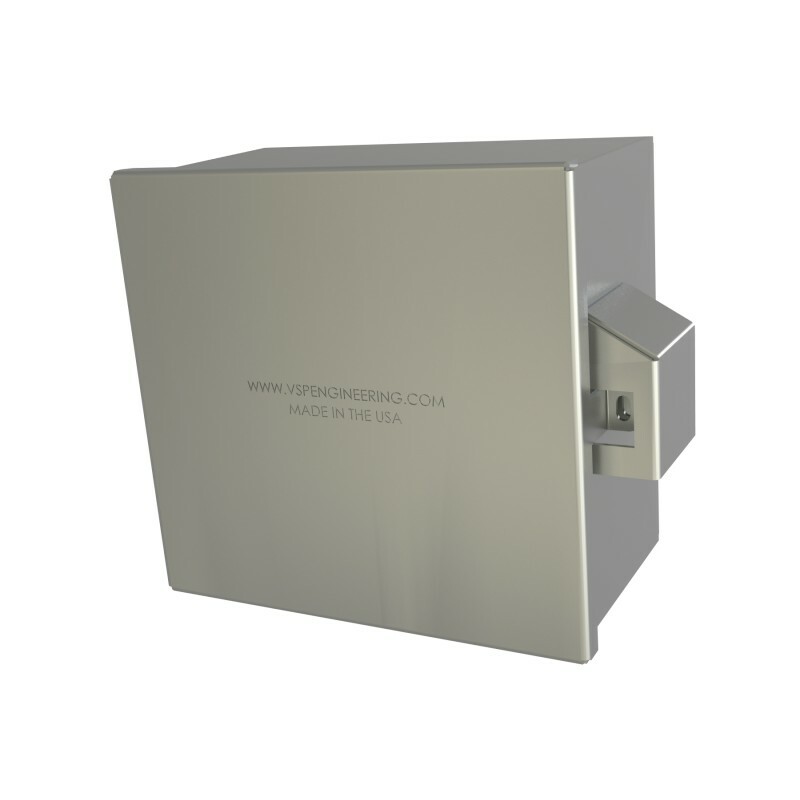 The VSP-PTD-W stainless steel paper towel holder is available in 12 gauge Stainless Steel that will stand up to heavy use, abuse and vandalism. 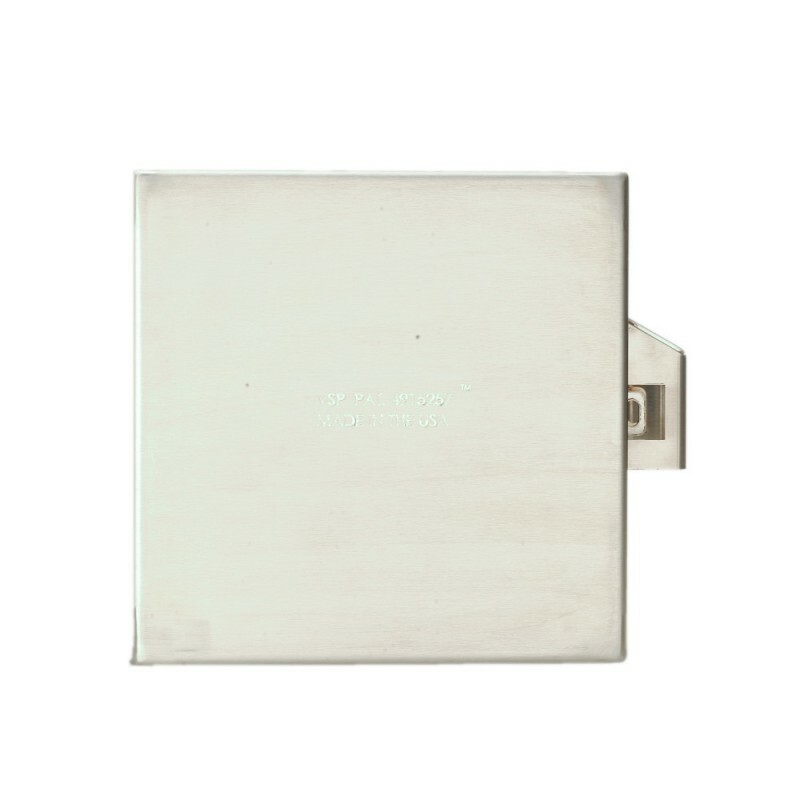 Featuring a shrouded lock, vandals and thieves will be foiled should they attempt to cut the lock with heavy duty cutters. 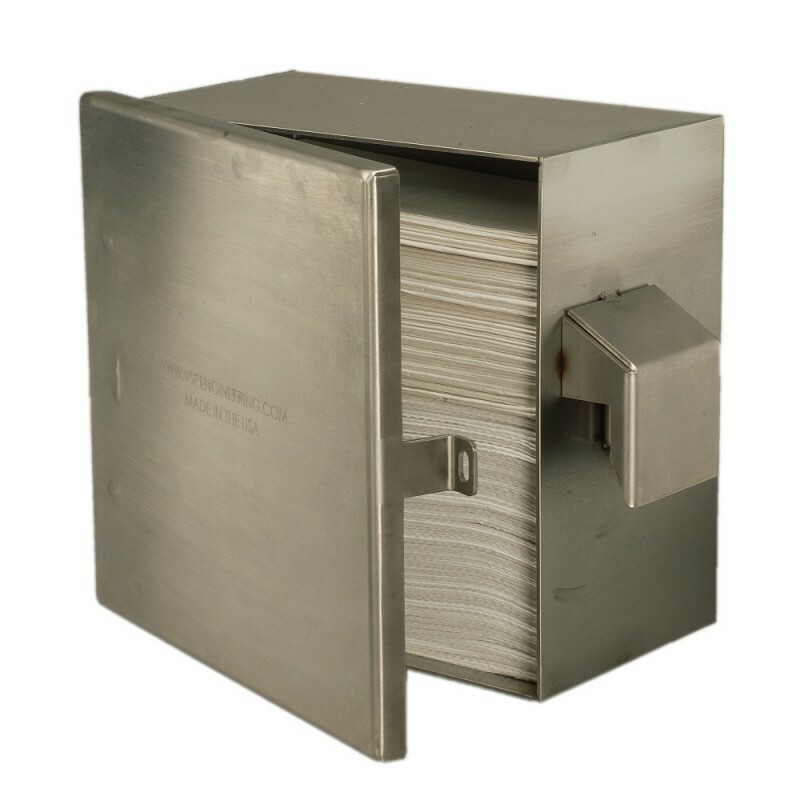 The VSP-PTD-W stainless steel paper towel holder features a flexible paper capacity with accommodations for up to 2 packages of wide style C-fold, Tri-fold or Multi-fold paper towel bundles. 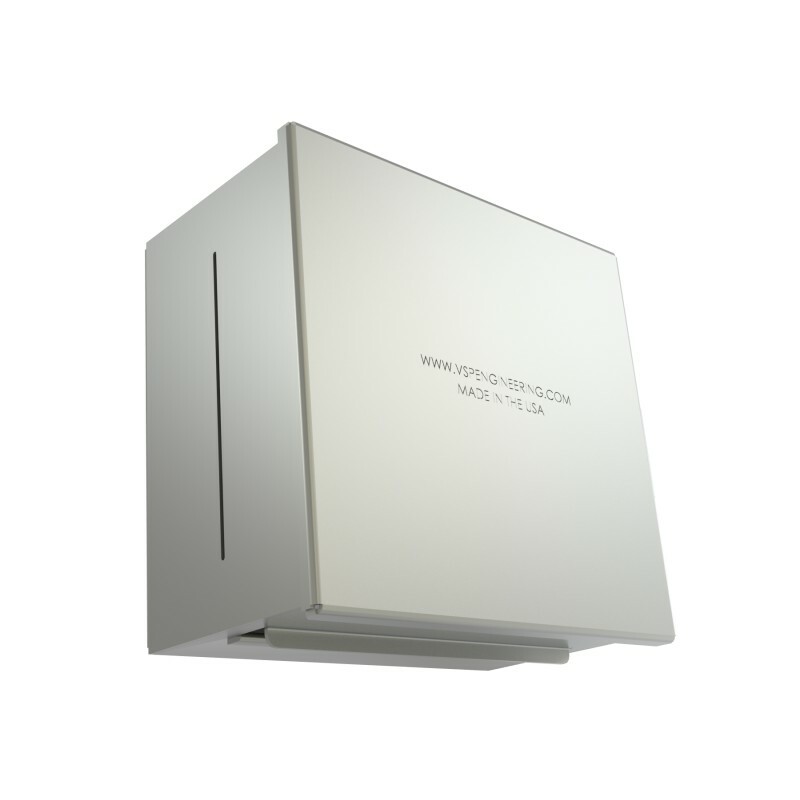 Past customers that are interested in the VSP-PTD-W stainless steel paper towel dispenser include Public Schools, Parks, Restaurants and the National Forest. 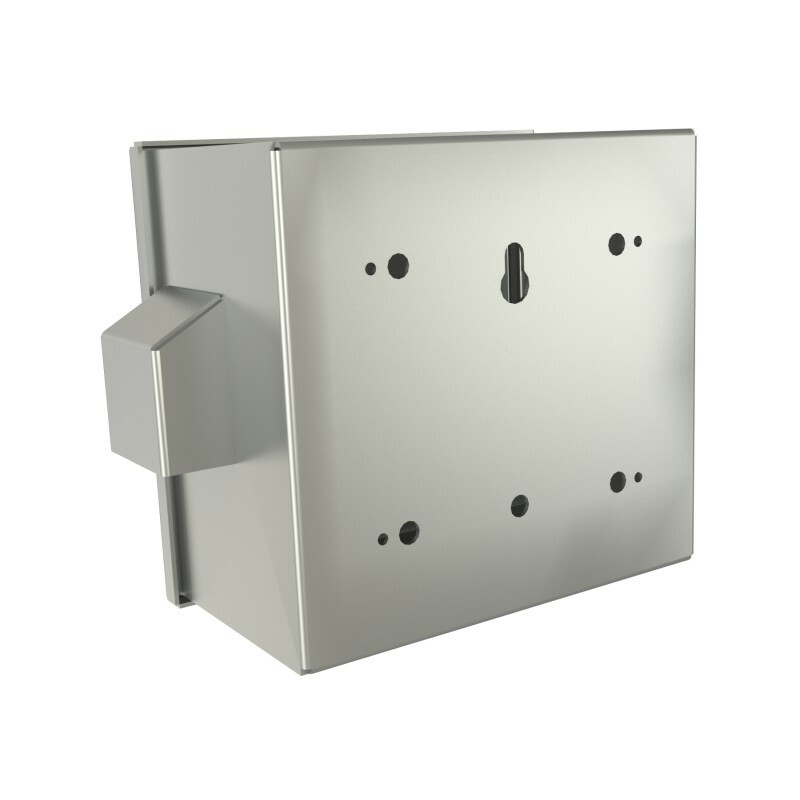 The VSP-PTD-W stainless steel paper towel holder is intended to be securely mounted using at a minimum 1/2” lag bolts. 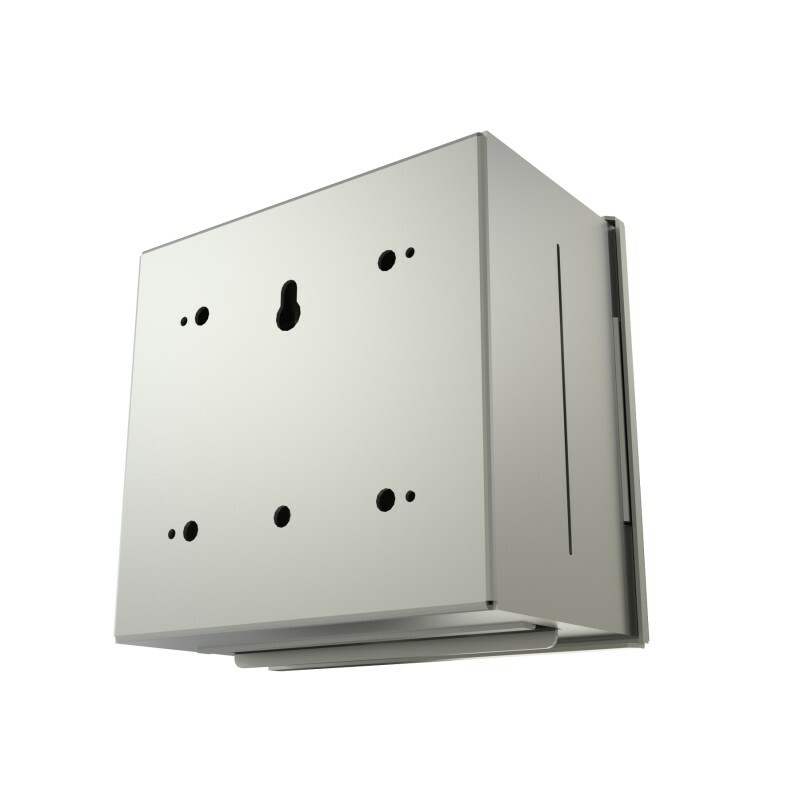 It can be partition mounted, or securely anchored into cinder block using 1/2” lag bolts that fully penetrate the cinder block. For sheet-rock installations it is necessary to use a 3/4” backing behind the sheet-rock to ensure it is securely fastened to the wall.